If you read Food and Water Watch’s recently published report on the Gulf of Mexico Red Snapper fishery, you may be wondering why EDF is so supportive of catch shares as a tool for fishery managers. The report paints a pretty bleak picture for fishermen in the Gulf of Mexico. We could spend an entire blog post devoted to addressing the report’s flawed statistics and manufactured conclusions, or we can just tell you the story of the red snapper fishery and how it went from near closure to a rebuilding fishery on the path of recovery. Anyone who grew up in a coastal community and who has seen the fishing industry struggle under the weight of restrictions and regulations understands the devastating impacts of size limits, trip limits, and short seasons. Traditional management has been crushing both large and smaller scale fishermen to the point where their livelihoods – their ability to provide for their families – has been threatened. Catch shares offer them a way out, and a choice. When catch shares were being debated in the Gulf Council in 2006, fishermen came to the table to design them. All fishermen who wanted to participate, could participate – the Council process provided plenty of access through Council meetings, Advisory Panels, public comment periods, and hearings. Under the Magnuson-Stevens Act, which Congress passed as the fisheries law-of-the land, fishermen were guaranteed a referendum (red snapper got two!) to vote a catch share up or down. That means the fishermen who historically made a living from fishing got the chance to decide how best to manage their fishery themselves. Many fishermen are also hunters, and are used to receiving tags to hunt a certain number of animals on public lands. This allows resource managers to keep enough of the animals around to reproduce for the next year. In the same way, catch shares don’t try to take away the fish from the public or privatize it – the public is still eating fish and out fishing. Catch shares are just a way to ensure there’s still enough fish for the next generation; red snapper was on its way out when the catch share began in 2007, and now you can’t get away from them. If we want fresh, local red snapper for dinner, we can get it. That’s important to all of us; as consumers, we want high-quality, fresh fish year-round. Catch shares give us that. Dockside prices for red snapper have increased 40% since catch share management began. Don’t forget, the amount of red snapper that fishermen were allowed to catch was being reduced every year until 2010. That was hard on fishermen, but the declining catch limit had nothing to do with catch shares. That was the path traditional management had led us on. Catch shares opened new doors. All fishermen – small and large scale – had options: they could buy or sell their quota, stay in the fishery or leave, and grow their businesses by investing or keep them the same size. While the total allowable catch would change, at least they were guaranteed their share of it. Fishermen got stability and choices. Consolidation seems to be a hot topic, but have we really thought about what it means? In the end, the fishermen who wanted to leave the fishery were able to, and they were compensated for it when they sold or leased out their quota. In that way, consolidation worked well for them. Now that fishermen don’t have to invest in extra boats during the “race to fish,” they can take fewer vessels out and get the same number of fish, or more. Fishermen save money on boats, maintenance, and fuel. It’s called economic efficiency, but what it means is that the fishermen who choose to stay in the fishery have to spend less to make their living. Moreover, caps on the amount of quota one fisherman can hold ensure that more fishermen can make a living catching red snapper, and that no one can get too big and buy everyone else out. Fishermen are making more at the dock too. 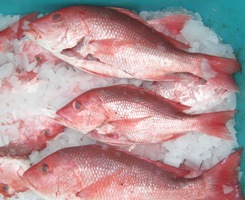 Dockside prices for red snapper have increased 40% since catch share management began. It makes sense. Fishermen aren’t dumping all their fish at the dock at the same time. Every morning, they can check the weather, check the selling price, and then decide if they’re going to go out that day. The fish are fresher and higher quality since there’s no rush to catch as many as possible in the short season, and the fishermen are safer since they’re not rushing and competing with each other on the water. per week. Afterwards, that potential rose to more than four days of work per week. The crew are happy. It’s a win-win. The fishermen who invested in IFQ shares have seen their investment grow with increasing share prices. Newcomers are still welcome. There were 29 new entrants in 2010 alone. Fishing is finally profitable, and a new generation of fishermen are able to come into the fishery with a hope of making a decent, stable living. Increasing share prices reflect fishermen’s increasing long-run value for this resource, and this value means that fishermen want to protect their investment and help be effective stewards of the resource. It’s in the best interest of the fish, and the fishermen. You might ask about what catch shares have to do with helping the fish stocks. Before catch shares came along, fishermen had derbies – a whole bunch of vessels grabbing as much fish as possible in a short amount of time. The best fishing holes got hit hard – everybody headed for them first and cleaned them out. With size limit restrictions, fishermen were forced to throw back (or discard) tons of fish, and many of those fish died. Prior to the IFQ, commercial fishermen discarded (or threw away) one fish for every single one that they kept. After the IFQ was implemented, discards immediately dropped by 70%. The fishermen are bringing home what they catch, and putting it on our dinner table instead of back into the ocean. In 2008, three out of every four snapper caught was brought to market. And those prime fishing spots aren’t getting hit so hard, so red snapper have time to reproduce each season. More live red snapper in the water – another win-win. Since the IFQ was implemented, the Gulf of Mexico red snapper commercial quota has increased by 40%! The Gulf Council’s science committee helped determine that the red snapper stock is rebuilding, and the fishermen could finally benefit from their efforts at reducing discards. Back during the derbies, fishermen also had a lot of bycatch. They had to move fast, so they unintentionally caught a lot of other fish besides red snapper, like gag, red grouper, greater amberjack, and gray triggerfish. Some of these bycatch fish were also overfished themselves, so getting caught in the derby just made their situation worse. Fishermen under catch shares have the option to choose places where they can minimize their bycatch, and they can choose to use better gear that catches less of the bycatch. The result is a healthier ocean for all of us to enjoy. We have the numbers to prove it. Since the IFQ was implemented, the Gulf of Mexico red snapper commercial quota has increased by 40%! The Gulf Council’s science committee helped determine that the red snapper stock is rebuilding, and the fishermen could finally benefit from their efforts at reducing discards. We know in some areas like the eastern Gulf, discards have increased because the red snapper stocks are recovering and fishermen haven’t adjusted their quota to account for it, but that’s the great thing about catch shares. No one is locked into anything. As fisheries grow, fishermen can grow with them. In the Gulf, just as in fisheries around the world, research shows that catch shares are helping to reverse the trend toward fishery collapse. By securing their access to the fishery, catch shares give fishermen a long-run stake in ensuring that fish stocks rebuild and remain sustainable, and give them stable, flexible fisheries so they can earn a living and support their families. Can the Gulf States Afford to Manage Red Snapper under H.R. 3094? This entry was posted in Gulf of Mexico and tagged Fisheries Management, Gulf of Mexico, Red Snapper. Bookmark the permalink. Both comments and trackbacks are currently closed.